Current political climate is crazy. What’s alternative and what’s not in terms of the near future concerning the country I live in is as clear as a warthog in a mud bath. As a result am getting radicalised (better term would be practicalised) on the inside to do something for actual longevity politics. Here’s the idea in 2 tweets. 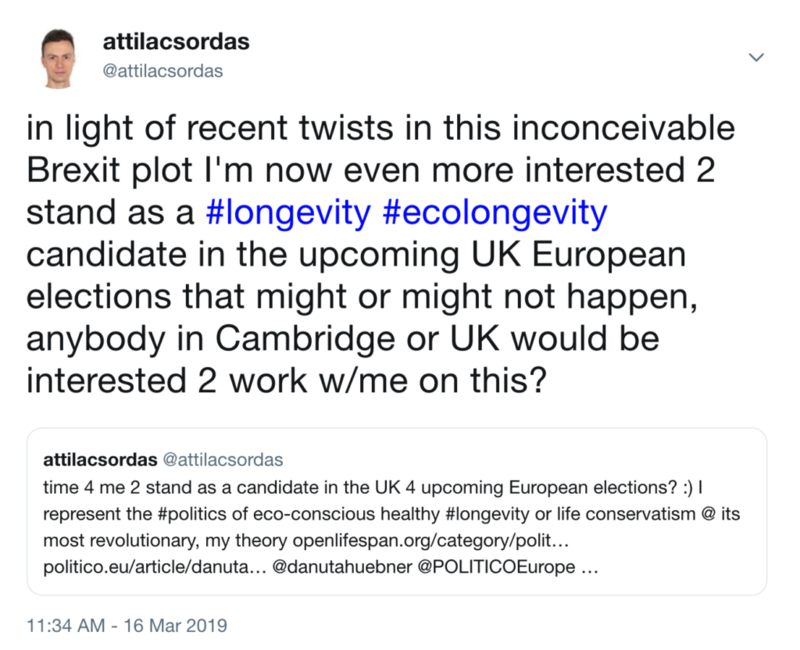 Ecological thinking and politics had a long way to go, but longevity thinking and politics has an even longer way to go. The good news is that ecological thinking and action provides a template for longevity thinking and action. Many of us heard about the Green New Deal proposal by Alexandria Ocasio-Cortez, Ed Markey & co., dated back this past February, less than a month ago. I doubt that most of those who heard about it, actually read the foundational document. I read it and you can read it here. Technically (legally), it is a resolution. This Green New Deal document is a trigger and inspiration for me to start working on a foundational document on World Longevity I call the Grey New Deal. I have just applied to become a Research Fellow at The Long Now Foundation with the following proposal below. Regular readers might have read most of the material already but it is good to have a high-level summary every once in a while as I try to turn this independent, very low-budget research project into a credited, more professional endeavour. And there’s always something new as thoughts are self-developing. Here’s the proposal. At the heart of the philosophical tradition is counterfactual thinking about different what-if scenarios or possible worlds. 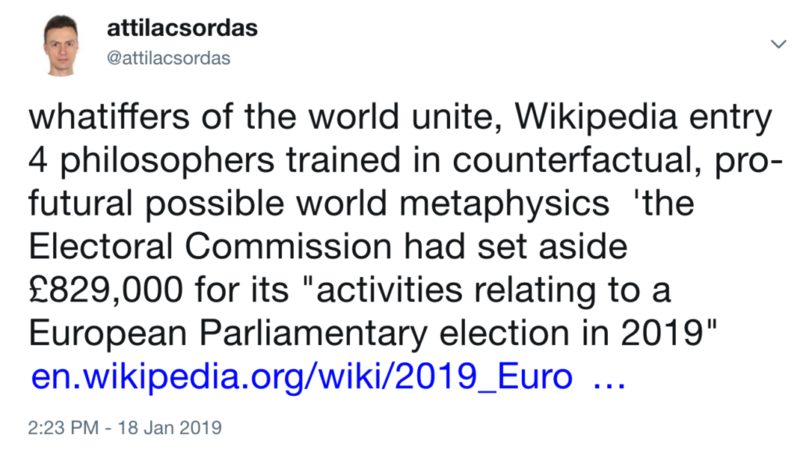 The task of philosophy is to thought experiment with relevant possible worlds, especially with what can be called limiting possible worlds and establish the network topology, accessibility of the worlds from each other and from the actual world. The proposed project thought experiments with the upper limit possible world of Open Lifespan, where people live indefinitely long healthy lives (think 10,000 year old selves, say) with the help of advanced biomedical technology.